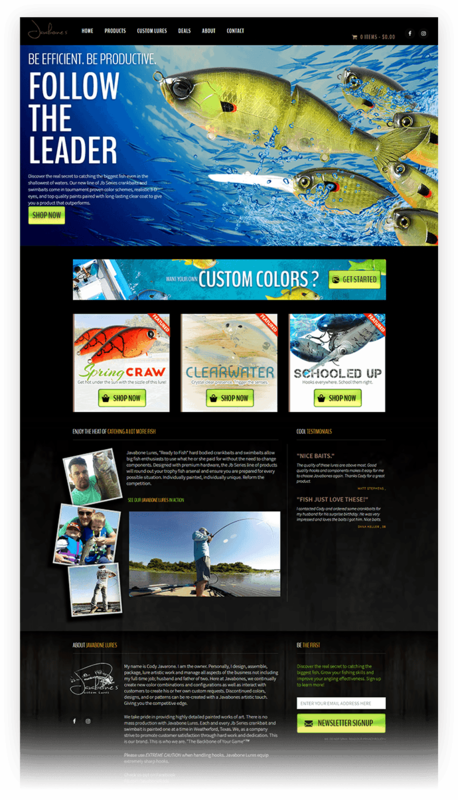 Cody Javarone, the owner of Javabone Lures, started this business to manufacture custom fishing lures. Cody knew he needs a bright vibrant website that made his product "pop" and was easy to navigate on both a desktop and phone. We designed a new e-commerce store based on the WordPress platform to make it easy for Cody to manage his content and products. We also integrated his site into his social media profiles and online payment processor to streamline the entire sales process. Cody got a brand new website that was easy to manage, kept track of his inventory and gave his customers a great shopping experience.